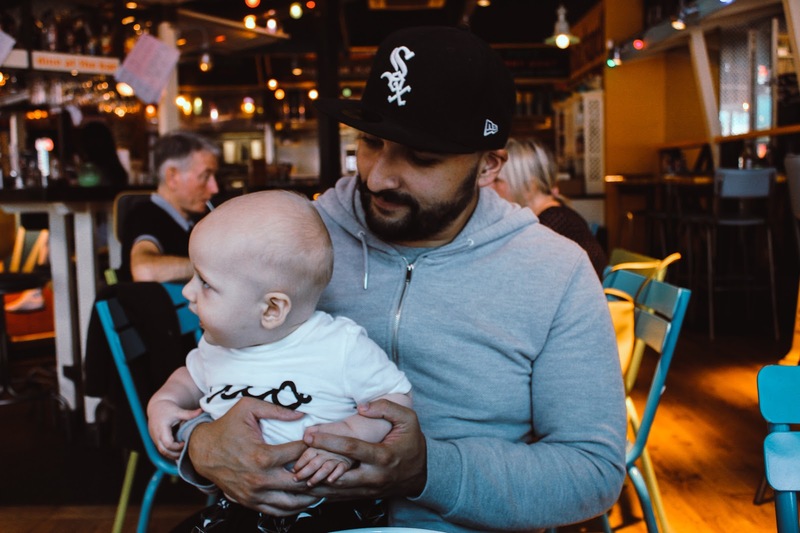 Turtle Bay Southampton is the place to go for all your jerk needs and so we headed back in recently with Joshua to give him his very first taste. 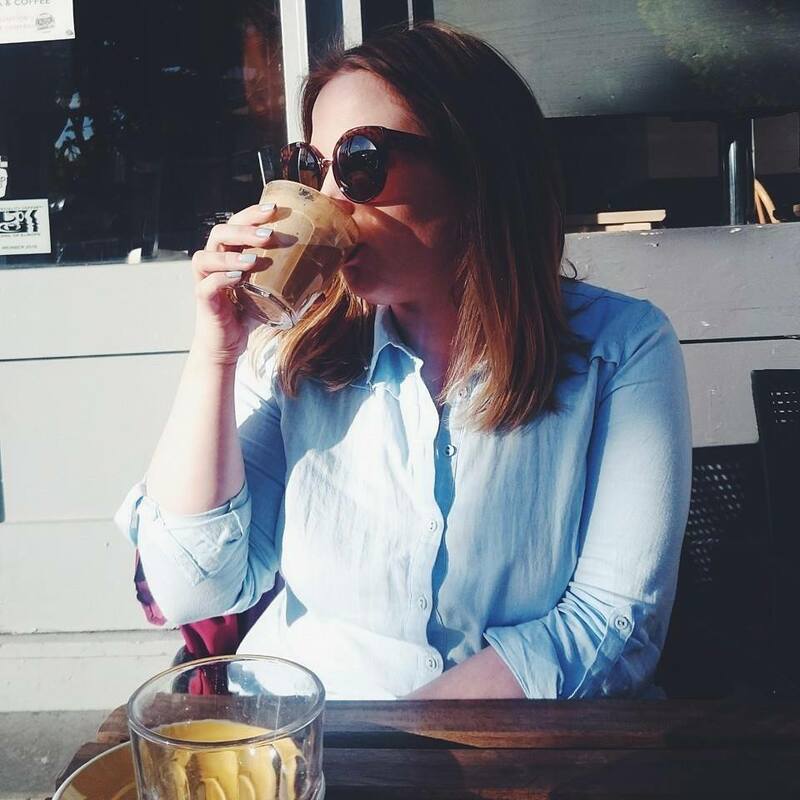 The restaurant and bar has always been a fave of ours, whether it's for lunch, dinner or cocktails with friends so when they launched their new look menu with a handful of new dishes featuring lots of vegan options, we couldn't wait to try it out. We spent a blustery Friday afternoon sipping on cocktails, fending Joshua off of our curries and bribing him with sweetcorn fritters. 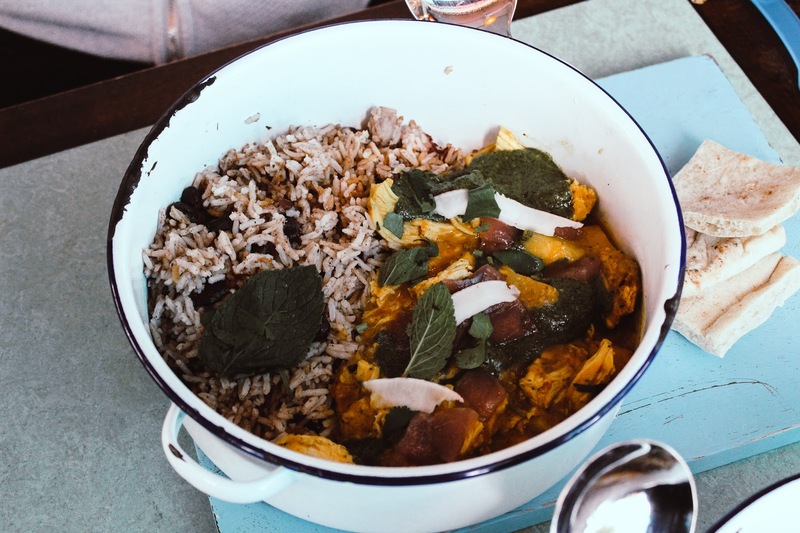 Joshua loved it, we loved it and we're already dying to go back for some more goat curry. 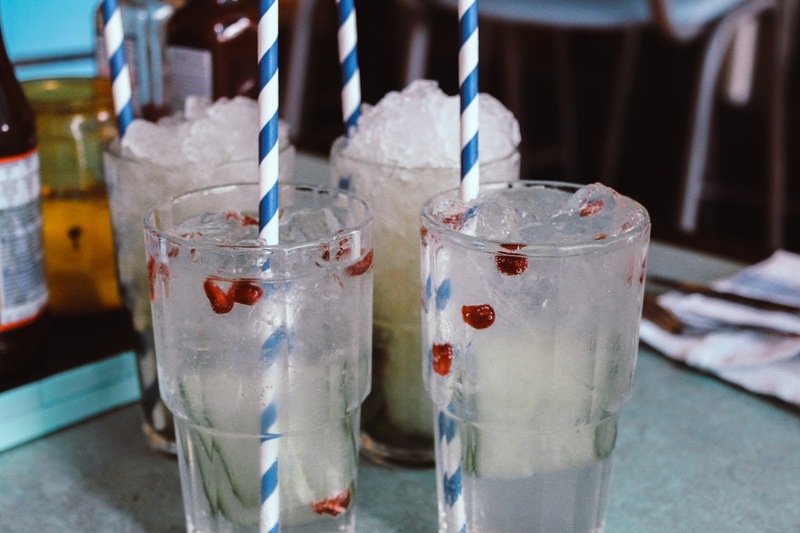 There is always time for cocktails at Turtle Bay and as they were two for one, Arran and I ordered Mojitos and my new favourite, the Tingaling which is gin, prosecco, elderflower and grapefruit crush and boy oh boy is it good! 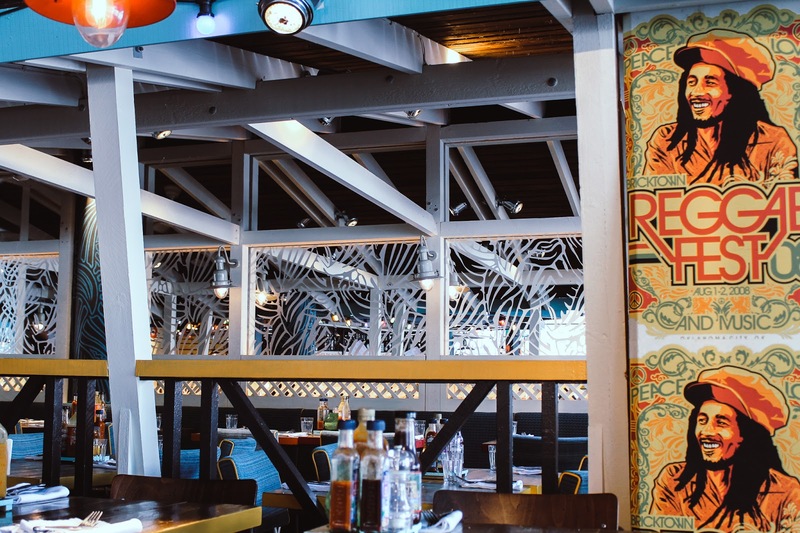 Turtle Bay is all about social dining, laid back Caribbean vibes while eating and drinking the most flavoursome food. The new menu features delicious sharing dishes, delightful vegan helpings and even more small plates than before. 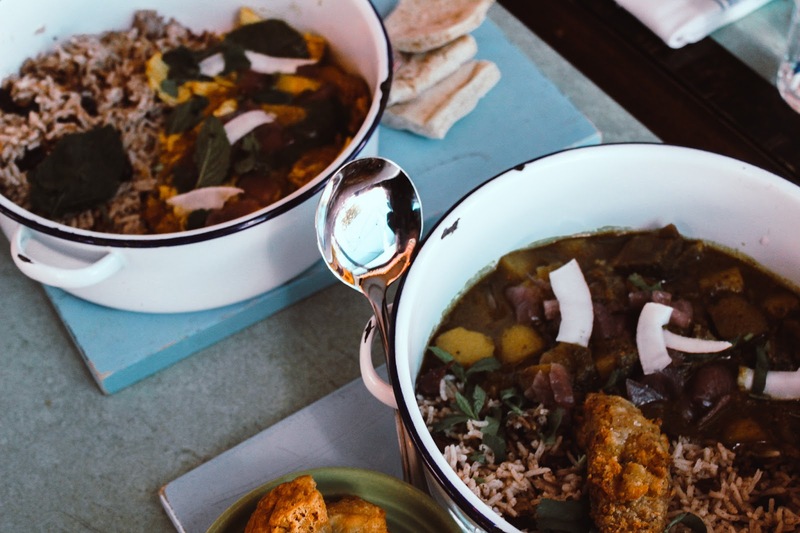 Think Caribbean Tapas and you've got it in one. 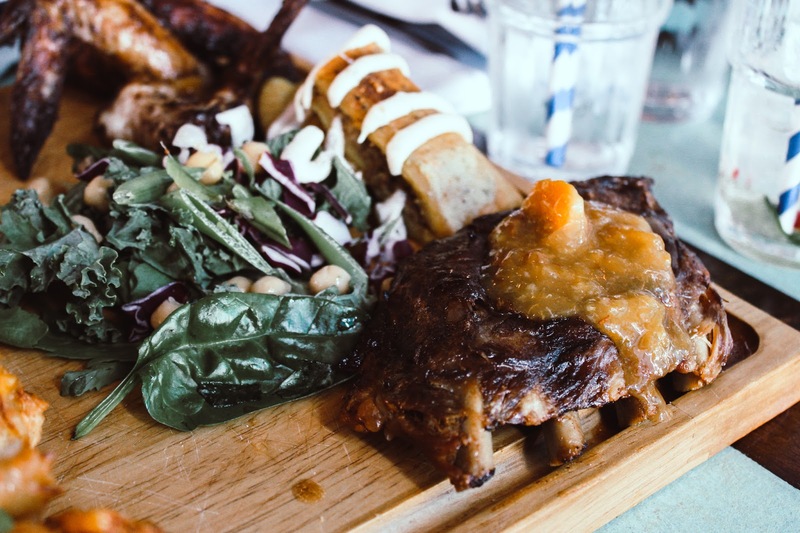 We started with the Just Jerk Platter which was marinated jerk wings, glazed pork ribs, beef patty, jerk chicken flatbread, sweet corn fritters and super green salad 14. We also ordered Coconut Rice 'n' Peas for Joshua, sweet potato fries and the smashed avocado but we ended up sending that back as it was quite spicy so Joshua couldn't eat it and we were expecting just avocado as that was what the menu said. The staff were great though and swapped the dishes around quickly so we could all eat together. The new menu is great as there really is a whole host of new things to try including their very first vegan burger! 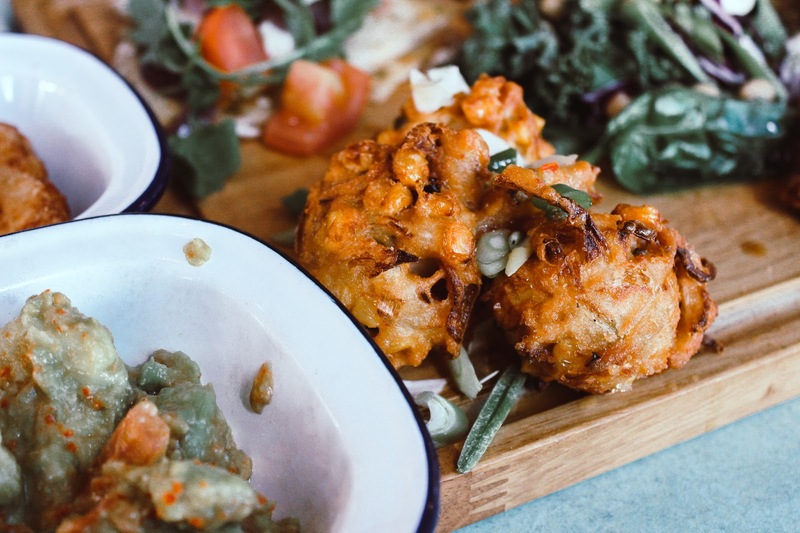 Sweetcorn patties with a Caribbean twist, vibrant flavours and spices, roasted red peppers and sweet onion chutney. How good does that sound?! I also had my eye on the Smoking Goat Burger which is the high street’s only goat burger! I did have goat but in one of their one pots. Usually I stick with jerk chicken but decided to try something completely different and I'm so glad I did because the Goat Curry was unbelievable. It was so juicy and tasty that I've been dying to find the time to go back to Turtle Bay to have it again. The mix of fragrant spices, coconut rice 'n' peas and the sweet plantain was just perfect and it's making me hungry writing this now. Arran also had a one pot, the Trini Curry Chicken with spices, coconut milk, coconut rice 'n' peas and flatbread which he said was really delicious too. another excuse to go back. We had a really enjoyable experience and Joshua had a great time trying lots of new flavours. We can't wait to go back soon. 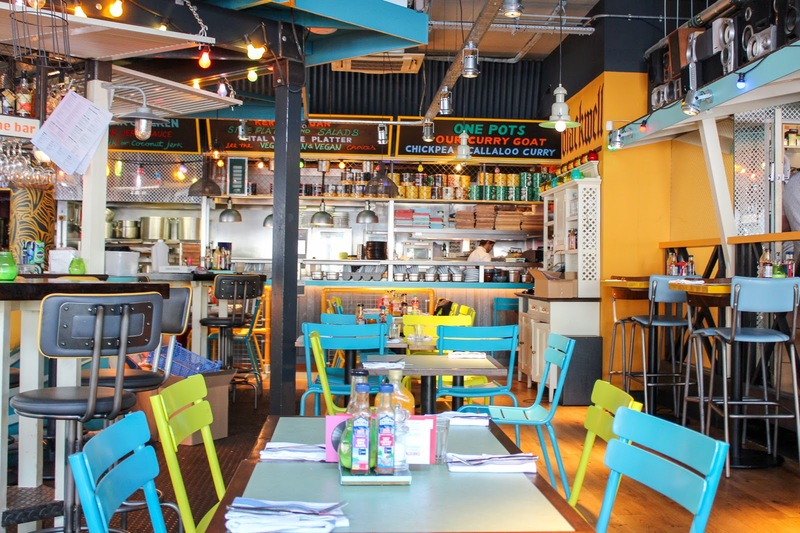 What do you think of Turtle Bay? Are you a fan? I wish I had a Turtle Bay closer to me, I've heard nothing but good things and the sound of that vegan burger has got my tastebuds tingling. At last, a change from blooming falafel! It sounds like Joshua will grow up loving jerk food. Everything looks so yummy! It looks like you had a lovely time! I love the decor inside, it all looks so delicious. Oh wow the food looks soooo good! would love to go here! i love turtle bay - not just for the food but for the atmosphere too. it's like stepping into being on holiday! Oh my god, my mouth is literally drooling. I don't even know where the nearest Turtle Bay is to me but I NEED to go!